Pipes normally carry water into the homes in a manner one never thinks about twice. It is only when something goes wrong that they are noticed by most. 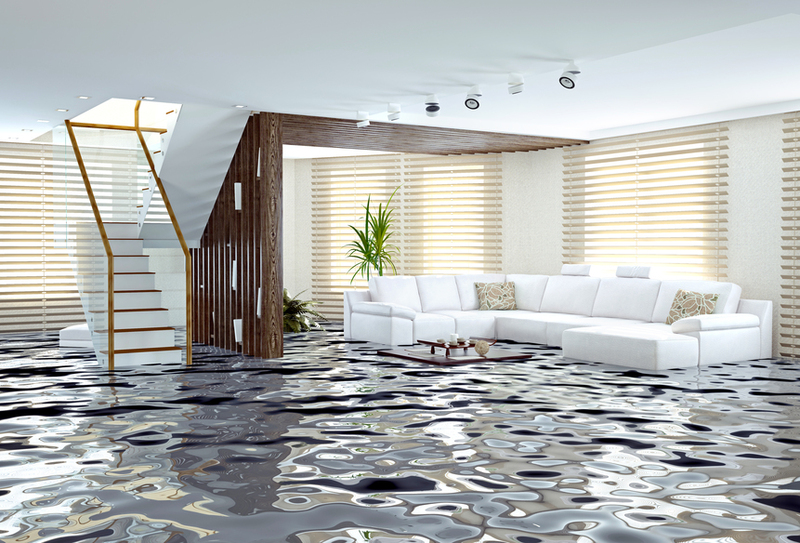 Unfortunately, pipes that burst or develop leaks over time are very common sources of water damage. This can occur from changes in temperature, clogs in the lines, or simple fatigue related to aging. Unfortunately, these problems usually have fairly catastrophic consequences on the home, requiring expert clean up and, in many cases, significant repair work. Some parts of a home are more prone to water accumulation or intrusions from outside. These may be areas that are naturally cooler, like crawl spaces and basements, or parts of a home that are more easily exposed to the elements, like attic areas. Water can often accumulate in these areas or begin to intrude into the building with little outward sign of trouble until it is too later. Unfortunately, these areas also tend to be the most prone to mold growth. This combination of difficult detection, costly damage, and mold proliferation make it essential to address these types of water intrusion as quickly as possible, or the cost of later repairs can be astronomical. Another very common source of water intrusion is a malfunctioning appliance, such as a washing machine or dishwasher. As these items grow older, their tubes and pipes that carry water begin to wear out, and the couplings where these vessels join with the machine begin to crack and slip. The only way to avoid this problem is to be vigilant in maintaining home appliances and routinely checking the condition of any pipes or drains, repairing or replacing them as necessary. When these items begin to leak, they can flood walls, seep under flooring surfaces, damage nearby cabinets, and easily lead to the growth of mold. If it is discovered that an appliance has been leaking for some time, it would be wise to call an expert to not only dry the visible spills, but to ensure the surrounding structures remain sound, undamaged, and free of mold. Another appliance that commonly causes water damage is so unique it falls into its own category: air conditioning systems. Also known as HVACs, (heating, ventilating and air conditioning units), these appliances are typically built right into the home. They collect water which is supposed to be transported to the outside via a small drain line, but in Florida, these lines frequently become clogged with algae. As a result, the drip line begins to back up and can eventually spill into the living area of the home. Often, this will go unnoticed until it begins to soak the carpet or spill across hard surface floors. Unfortunately, many of these units are installed on wooden structures that can be severely damaged by the water seeping out of them. They can also collect and distribute mold spores that may grow around the unit thanks to the moisture and cool conditions. DONT WAIT. AVOID FURTHER DAMAGE!